book printing in Los Angeles.Fast. Affordable. With Bookstore Quality. A lot of business cards look cool, but how do they feel? With Axiom Designs Ultra Thick Business Cards printing Los Angeles, your card will stand out from the deck at any trade show or event. If you’re the type that feels that all other business cards seem flimsy, then these are the ones for you. Our Ultra Thick Business Cards are 2x, even 3x thicker than traditional business cards, the extra thick card stock not only gives your business cards that premium, high end presentation; they literally feel different and stand out in a pile of standard cards. Today’s busy professional is constantly on the move, and damaged crumpled business cards are one of the first casualties of frequent travel. With extremely durable heavy card stock, your thick business cards will last longer; maintaining their shape without easily crumpling or folding. This sturdy quality gives your company an automatic air of quality, as it stands strong amongst the tattered and dog-eared cards of your competition. It makes a Strong First Impression. Prospective Clients are more likely to hold onto your card when printed on thick paper because it feels so different. Ultra thick paper automatically sets the tone for your graphic identity and helps set you apart from your competitors. The highest quality printing deserves a high quality finish. Silk Matte Laminate adds a rich silky smooth texture and protective coating. Super Gloss UV adds shine that pops, and Matte coating adds a subtle layer of lamination to complement any design. 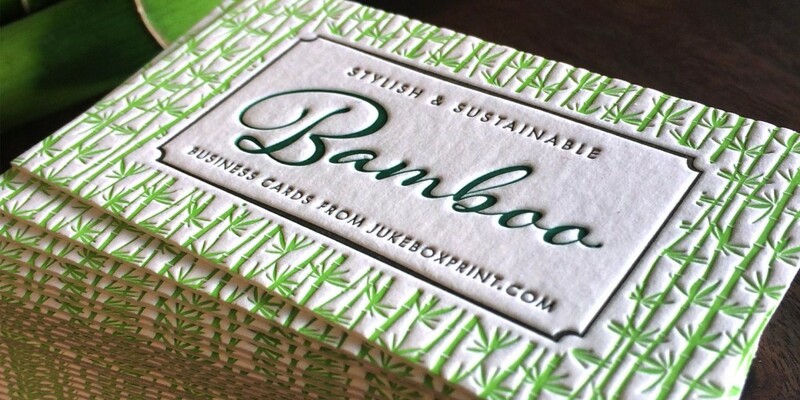 We also offer an Uncoated option that is 100% recycled and has a more natural papery feel. 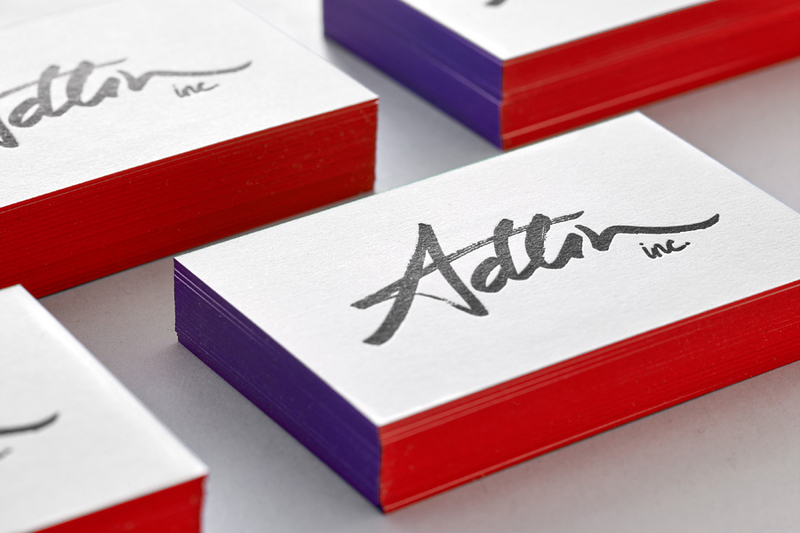 Add impact to your Ultra Thick Business Cards with colored edges. Select your custom CMYK color value or go with our bright florescent options. Request your custom quote today. A high quality Ultra Thick Business Cards sets the tone for your business, not just making a great impression but creating a lasting connection too. That’s where we can help. We have all been handed a ‘thin’, lightweight low quality business card on occasion that may as well have been printed on tissue paper. Well, choose our double or triple thick heavy weight materials for your Ultra Thick Business Cards and your card will leave a lasting impression, a good one that is. We offer you a great choice of options. You can choose cards with one design or many – all in the same order, thus saving you money. 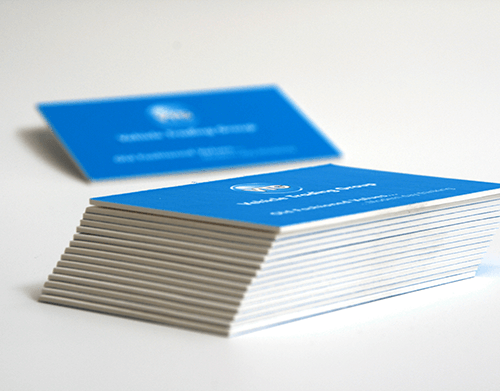 Get a sample pack of our Ultra Thick Business Cards today.